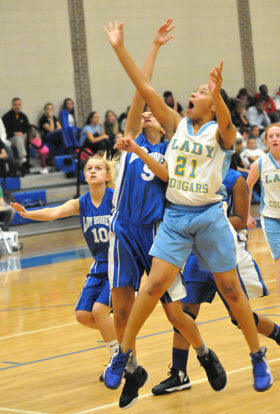 NORTH LITTLE ROCK — Trailing 20-18 at the end of the third quarter, the Bryant White Lady[more] Hornets eighth grade team of Bryant Middle School rallied for a 27-22 win over Lakewood Middle School Lady Cougars at East High School Thursday night. 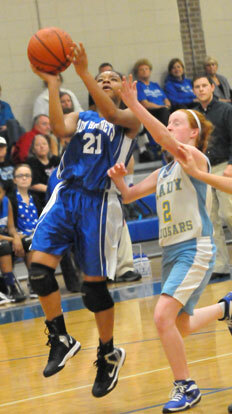 Destiny Martin scored 11 points and Deja Rayford 7 to lead the Lady Hornets, now 2-2. 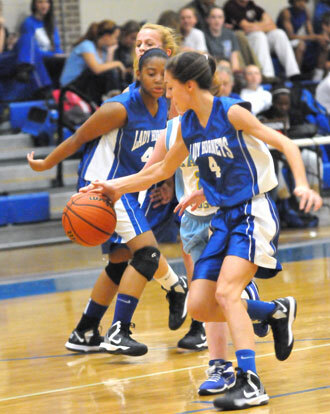 Lauren Lessenberry added 4 points, Jadyn Lewis and Hadley Dickinson 2 each and Kennedy Harris 1. Lakewood held a 7-5 lead at the end of the first quarter but the Lady Hornets surged in the second to lead 13-11 at the half. 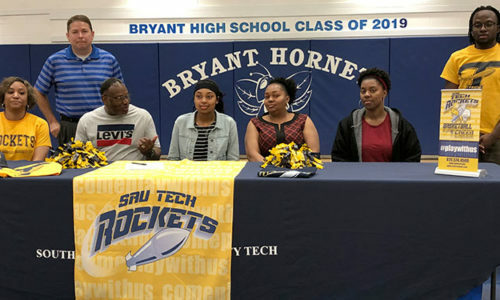 In much the same way, the Lady Cougars pushed back into the lead going into the fourth quarter only to have Bryant White prevail. Bryant White is scheduled to return to action at home against Lake Hamilton on Tuesday, Dec. 11.